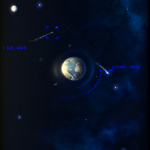 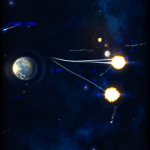 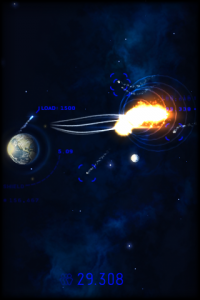 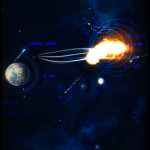 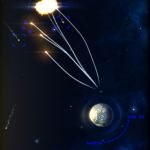 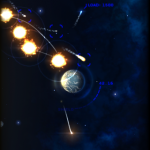 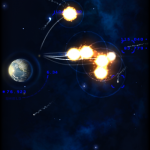 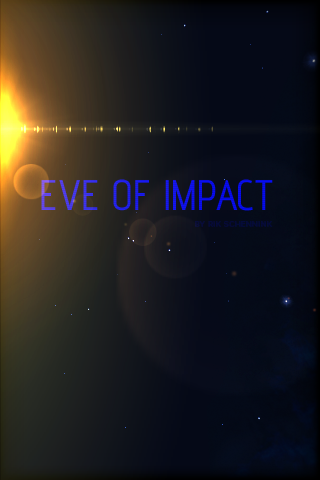 Eve of Impact ($0.99) by Rik Schennink is a fantastic arcade game that has you defending Earth from incoming asteroids. 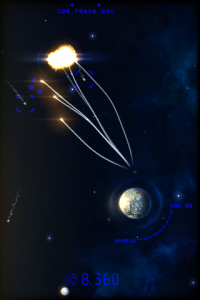 You protect Earth by firing rockets next to the asteroid's trajectory to deflect them and try to keep the escaping people safe. 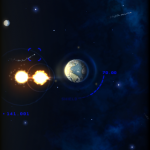 You’re presented with an image of the Earth and orbiting Moon. 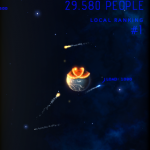 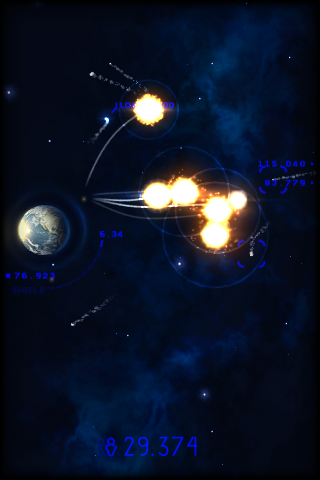 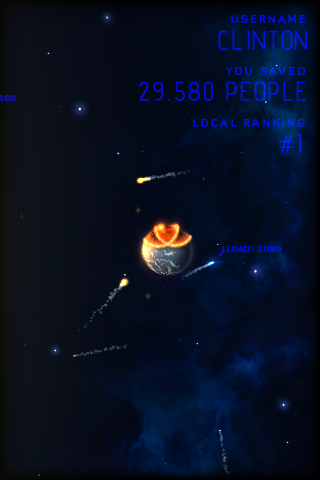 Along the edges of the screen you can see small numbers appear which represent the incoming asteroids. 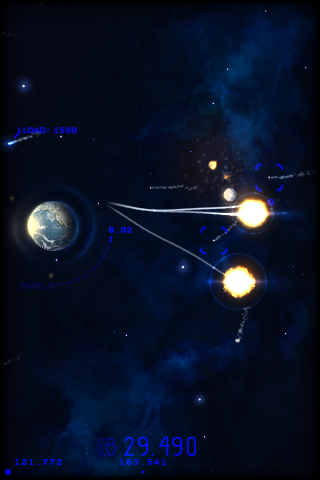 Wait for them to come in or scroll the screen a short distance if you want to be proactive. 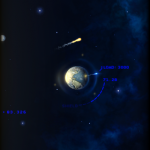 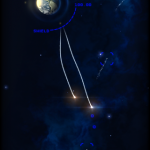 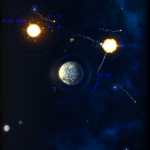 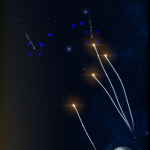 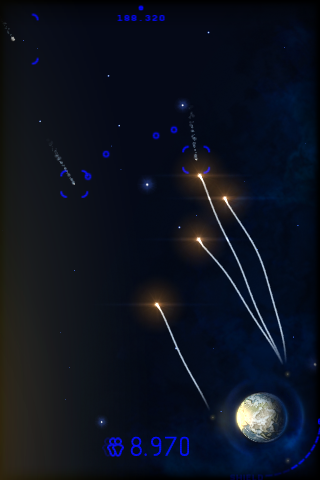 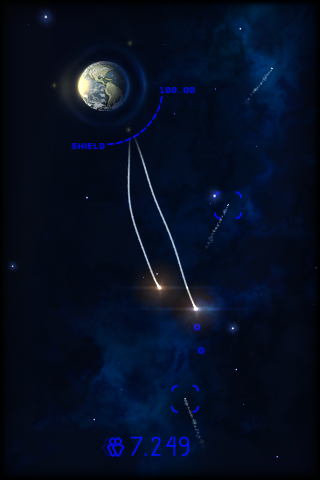 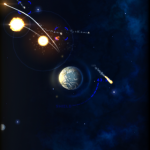 By tapping the screen next to the asteroid, you’ll be firing a missile next to it which will cause an explosion that changes the asteroid’s direction. 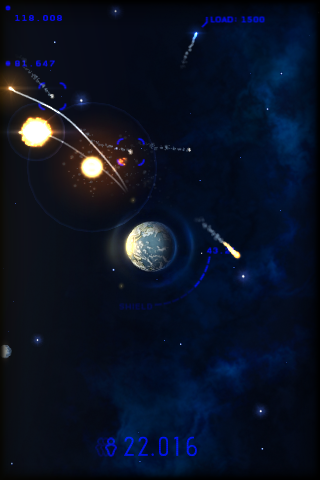 The Earth has regenerative shields, but if they are hit too many times and reach zero, it’s game over. 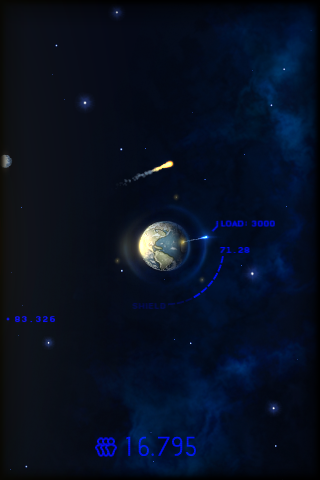 The longer you’re able to keep Earth’s shields up, the more people you will ultimately be able to save and the higher your score. 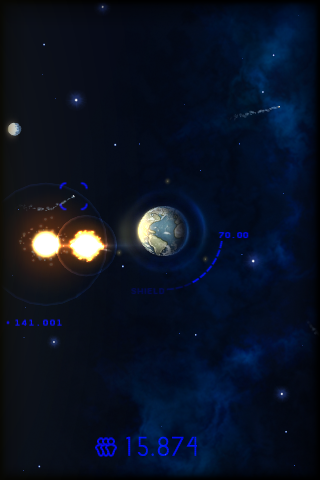 Be careful though, as escaping evacuee ships must not be hit by your missiles. 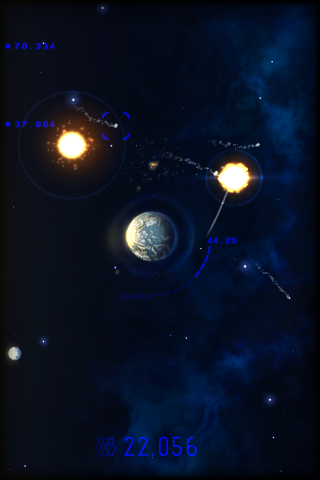 Doing so won’t lose you points, but it will decrease the speed at which you’re able to accumulate points, making it take much longer to break previous records. 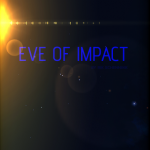 Eve of Impact is a beautifully crafted game exhibiting an original idea with detailed lights, explosions and missile trails. 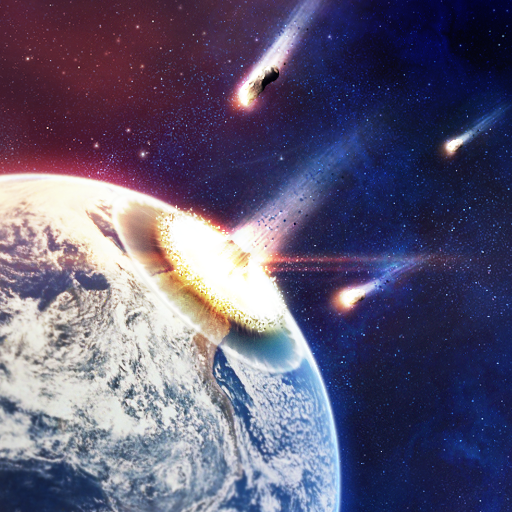 You can even see asteroids briefly turn into a small ball of fire as they skim the Earth’s atmosphere. 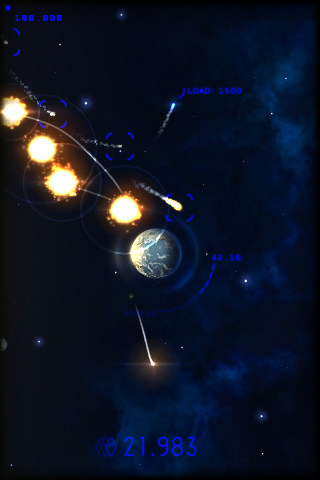 I can definitely recommend it.